Brigade House is located on the Western side of the Railway within walking distance of Toongabbie Railway Station at 3 Junia Avenue, Toongabbie NSW about 30KM West of Sydney. 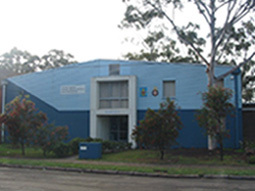 The building is the headquarters of the Boys&apos; Brigade and Girls&apos; Brigade in New South Wales. It also houses the National Office of the Boys&apos; Brigade Australia as well as the New South Wales & National Office of Prison Fellowship Australia.